Our client, Nespresso, launched a new range of coffee capsules called Master Origin. The aim of this range was simple – to allow their consumers to discover outstanding examples of coffee craftsmanship from across the world. We were tasked to create an activation space that conveyed the story of the Master Origin range. 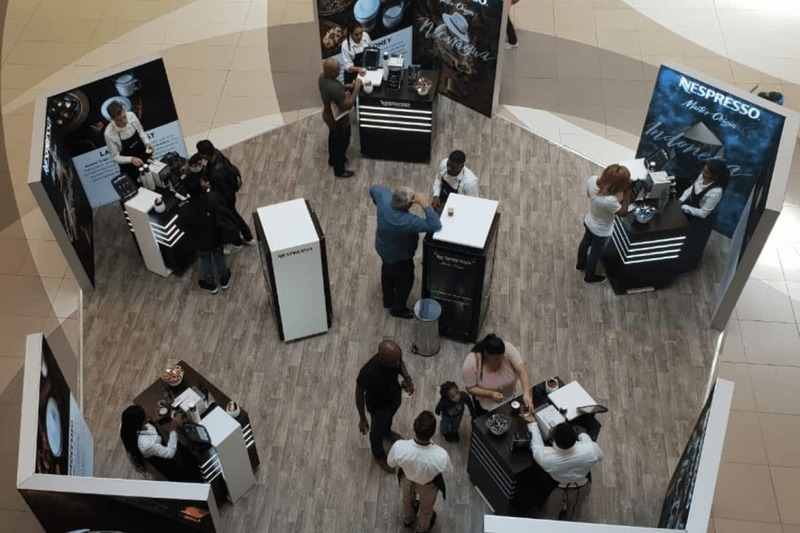 We conceptualised and created a 10m x 10m experiential area that allowed consumers to sample the range in an exclusive, pop-up, setting. We installed the experiential space at malls and outdoor markets, nationwide. We also created a smaller 3m x 3m experiential area that was used inside selected media houses throughout the country. The enticing design and our knowledgeable brand ambassadors exceeded KPI targets by 393% for mall activations and 220% for the media houses.